Acc. to Al O'Brien, from whom this picture came, the Pilot, Jones, was replaced with Tom Savage, the Co-Pilot in this picture. When "Who's Next?" crashed, Mr. O'brien's brother was transferred to this "Who's Next?" as Co-Pilot. Spicer was not on the plane when it crashed. 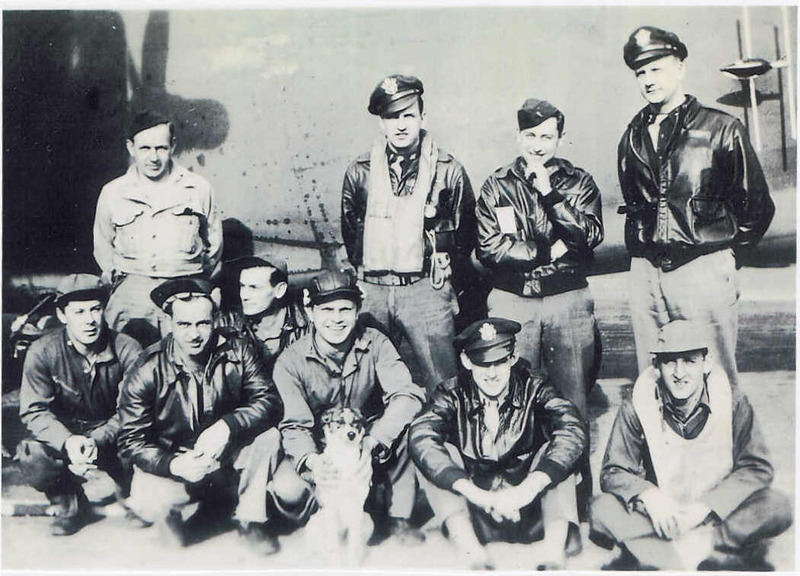 Bowling, Desmond, and Mathis, who had been on the plane at the time of the crash, are not pictured, as they were added to the crew after this picture was taken.